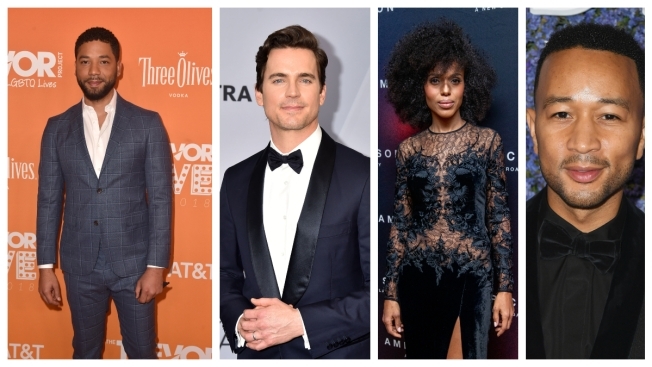 As news quickly spread about the assault against "Empire" star Jussie Smollett Monday night in Chicago, a number of celebrities took to social media to offer their support and condemn the attack, which police are investigating as a possible hate crime. Sending my love and prayers to you @JussieSmollett . This is unacceptable and they will be brought to justice. I'm horrified by the vicious attack on @JussieSmollett Not surprised that the cowards in masks yelled "This is MAGA country." Our country deserves better than the kind of morally bankrupt people who have taken our democracy hostage and condone hate crimes. Sending love to Jussie. Smollett was beaten overnight in what police are investigating as a "possible racially-charged assault and battery" in Chicago, authorities said. According to police the victim was walking when police say two people approached him and began yelling "racial and homophobic slurs." Smollett came out as gay during a guest appearance on "The Ellen DeGeneres Show" in 2015. Police said the offenders began hitting him with their hands and poured an unknown chemical substance on him. At one point, one of the offenders also wrapped a rope around his neck, authorities said.